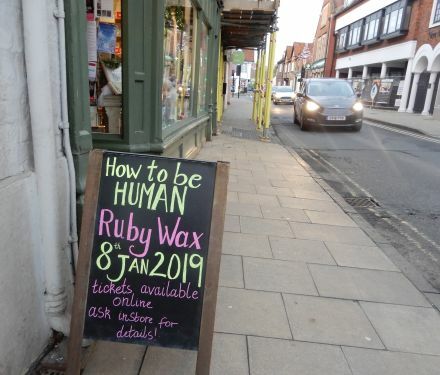 Ruby Wax will be talking about her book How to be Human at the Amey Theatre at Abingdon School on January 8th thanks to Mostly Books. 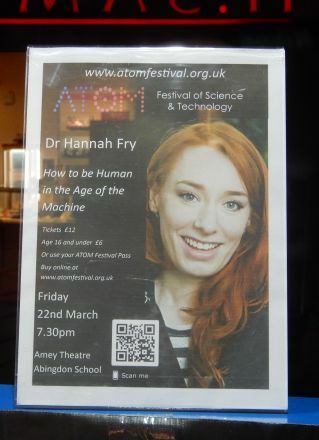 Then as part of the ATOM Science Festival, Dr Hannah Fry will be giving a talk on ‘How to Be Human in the Age of the Machine‘ on 22nd March at the Amey Theatre at Abingdon School. It will interesting to hear their different talks about How to Be Human, in Abingdon. Children have been converging on Abingdon Library for this year’s summer reading challenge. 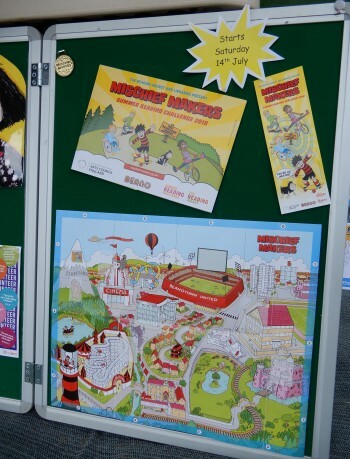 This year’s challenge is called Mischief Makers and features Dennis the Menace and other characters from the Beano. 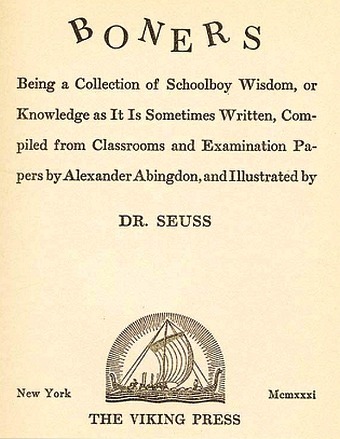 There are books to read, a treasure map to solve, and lots of stickers. If you are over 12 and too old for that challenge then you can take part in the adult challenge and recommend two books on a postcard and be entered for the prize draw. 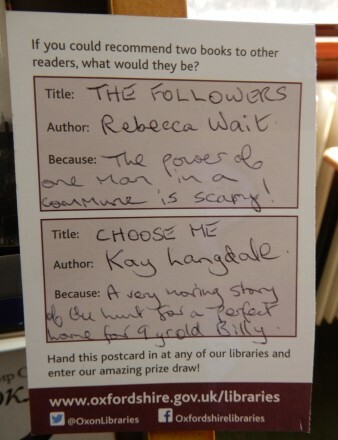 This is just one of many cards on display at the library. 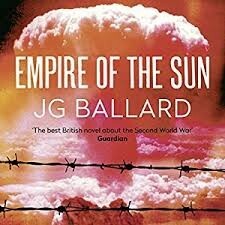 I am currently reading Empire of the Sun by J G Ballard – from the library. It follows Jim whose life, with his parents in the European quarter of Shanghai, is shattered by the second world war. They are separated and the book follows Jim’s struggle to survive. He begins by scavenging food from the houses in the street where he lived. When that supply runs out he tries to hand himself to the Japanese, seeking the relative safety of an internment camp … An epic! 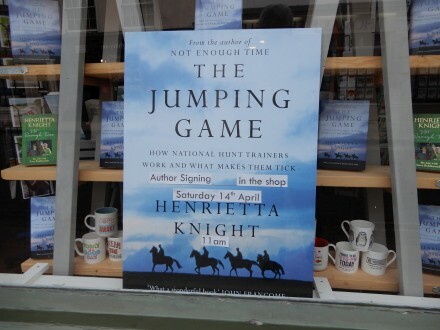 Henrietta Knight, a retired racehorse trainer, will be signing her latest book The Jumping Game on Saturday 14th April 2018, at Mostly Books in Abingdon. REGAL ENCORE – 28/1 – With the return of a cinema in Abingdon run by the Regal Evesham. The previous Abingdon cinema having been called Regal, this looks the most Abingdon horse to me. 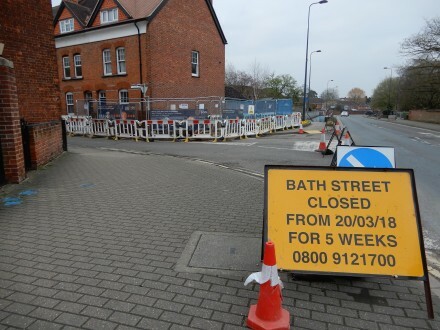 GAS LINE BOY – 33/1 – The road closure in Bath Street while they put in a new Gas Line. Boy is that taking a long time! VIEUX LION ROUGE – 28/1 – Translation in English is Old Red Lion, an old pub in the village of Drayton, only a mile from Abingdon. 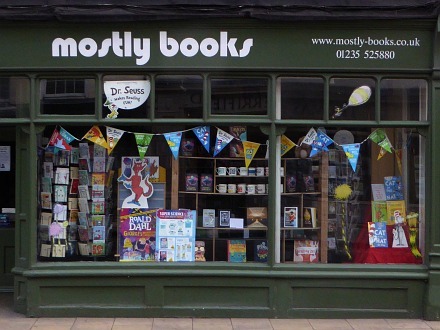 Mark Thornton from Mostly Books gave a talk called ‘What Reading Makes of Us – The Power of Stories to Shape Our Realities’ to the sixth formers at Abingdon School last year. 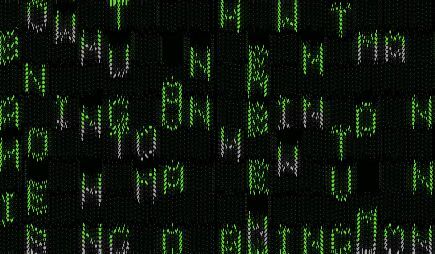 Annabel persuaded him to write it up into essay form for Shiny New Books – the literary magazine website she co-edits with several book-blogging friends. The link to Mark’s full piece is here: http://shinynewbooks.co.uk/bookbuzz08/what-reading-makes-of-us-the-power-of-stories-to-shape-our-realities-an-essay/.